Asian aquaculture has many a success and some failures. 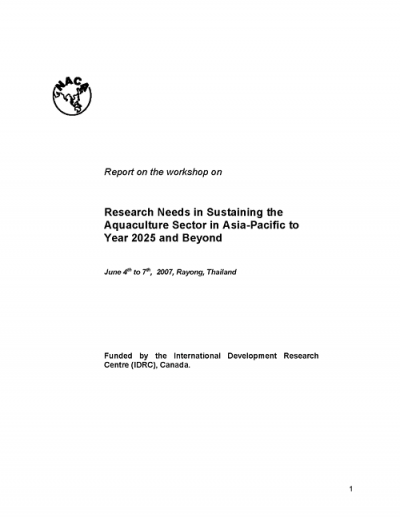 There had been many a review on Global Aquaculture and Asian Aquaculture, and in essence all these reviews have dealt with the trends per se, but have not attempted, explicitly, to address the main research issues and needs to sustain Asian aquaculture and specifically to explore how aquaculture research can contribute to poverty reduction into the first quarter of the 21st century. Equally, there had been reviews on the impacts of improvements in aquaculture, but these are also based on single commodity studies/ evaluations. Asian aquaculture will have to be innovative and also ensure social responsibility if it were to develop further, contribute to poverty alleviation and well being of the poor rural communities. It is in this context that identification of research priorities becomes imperative. Population growth and food fish needs. Climate changes and aquaculture research. Alien species and biodiversity in aquaculture. Broodstock and genetic resources management in aquaculture. Aquaculture and human health hazards - emerging issues. Effective utilization of inland water resources for food fish production. Some socio-economic and policy research themes. The successful development of backyard hatcheries for crustaceans: A case study from Thailand. Concept note on gene technology in aquaculture. 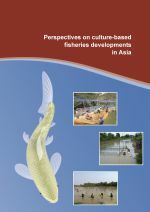 Tilapia farming in the Philippines and challenges in relation to rural development. Country reviews for Nepal, Sri Lanka and Pakistan.